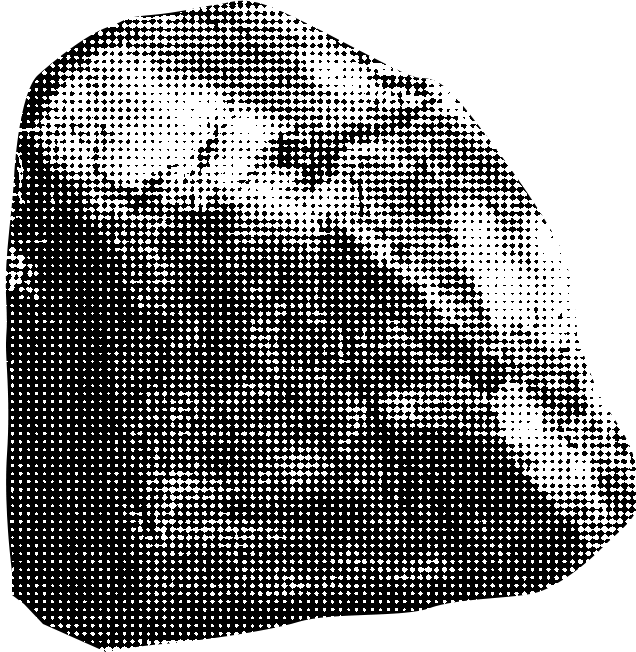 Stone Appreciation # 2 took as its subject six free standing and, to a greater or lesser extent, well known rocks: the Bowder Stone; the Idol Rock; the Toad Rock; the Chiding Stone; the Hitching Stone and the Big Stone at Bentham, all located in the North West and South East of England. 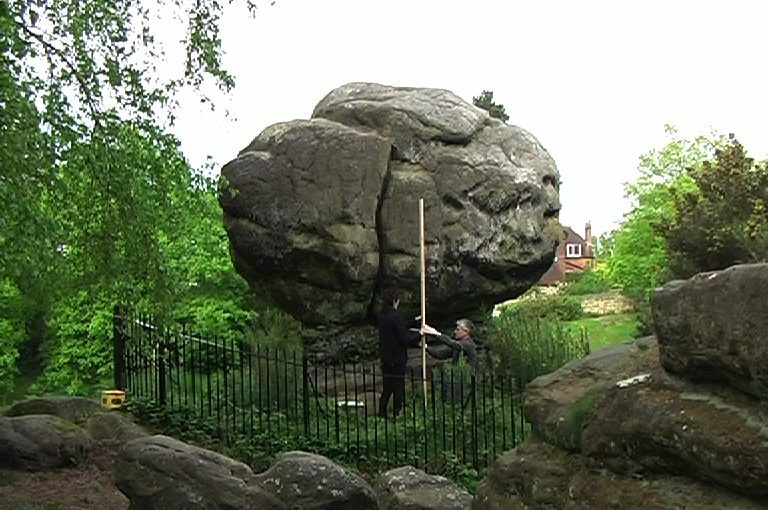 Having discovered these ‘celebrity’ rocks by purchasing postcards on the Internet, Dunhill and O’Brien have been preoccupied by a quest to visit and measure each of these, much photographed, landmarks. 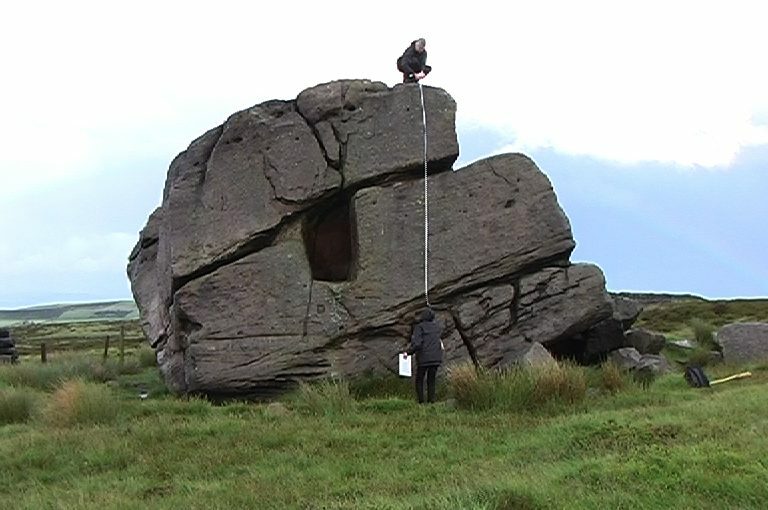 Making even rudimentary measurements proved to be a tricky business. 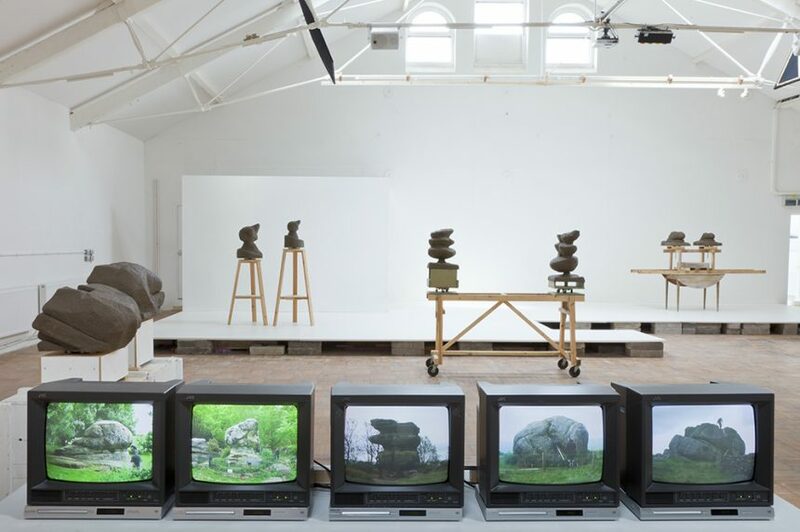 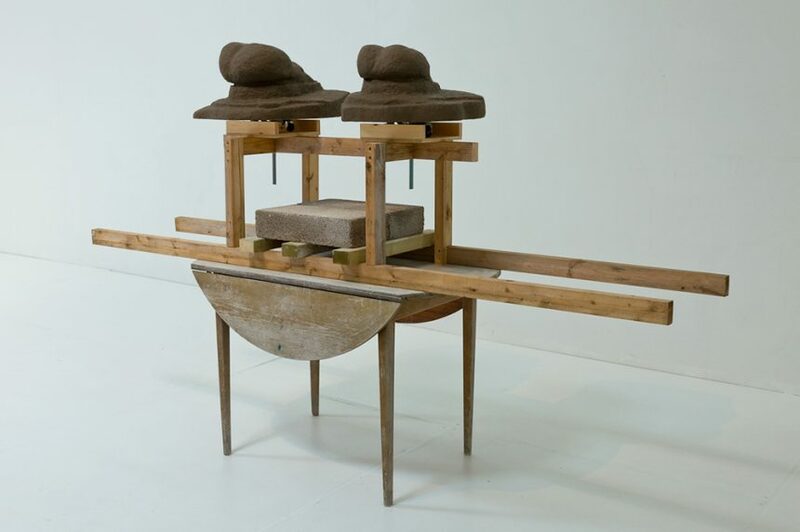 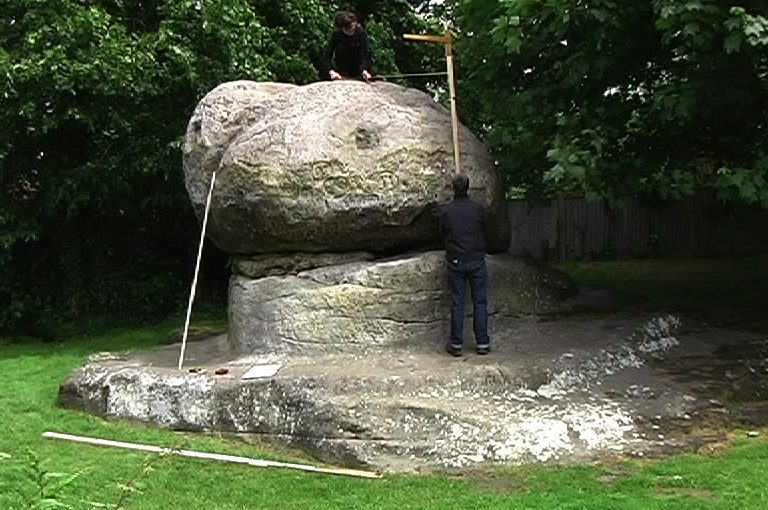 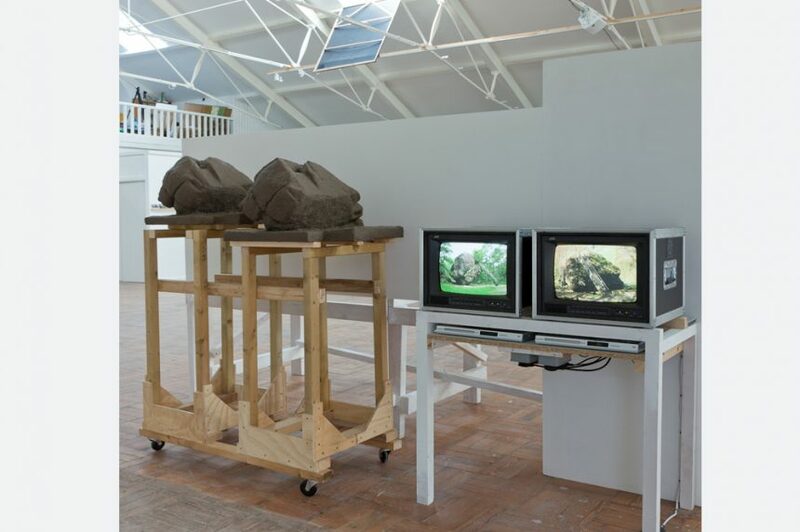 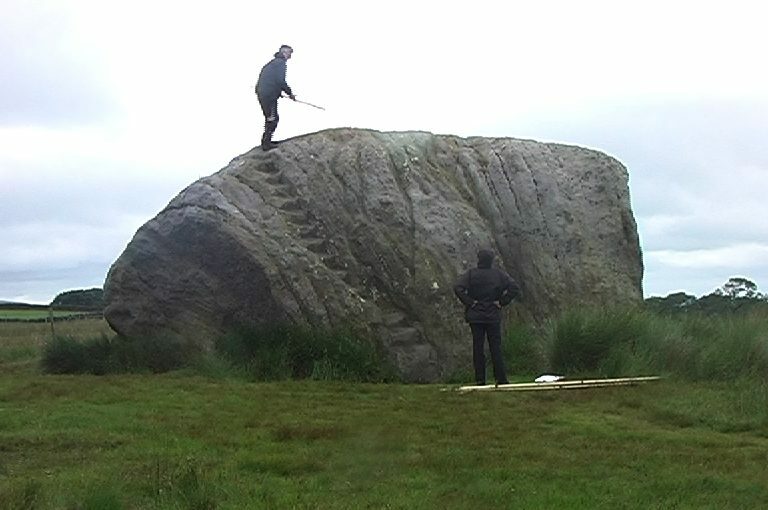 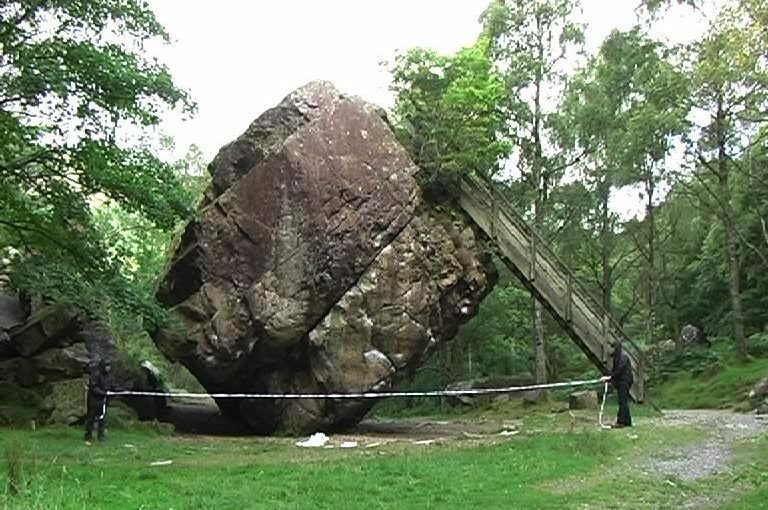 Videos capture the cumbersome choreography involved in negotiating each rock to establish basic proportions and dimensions. 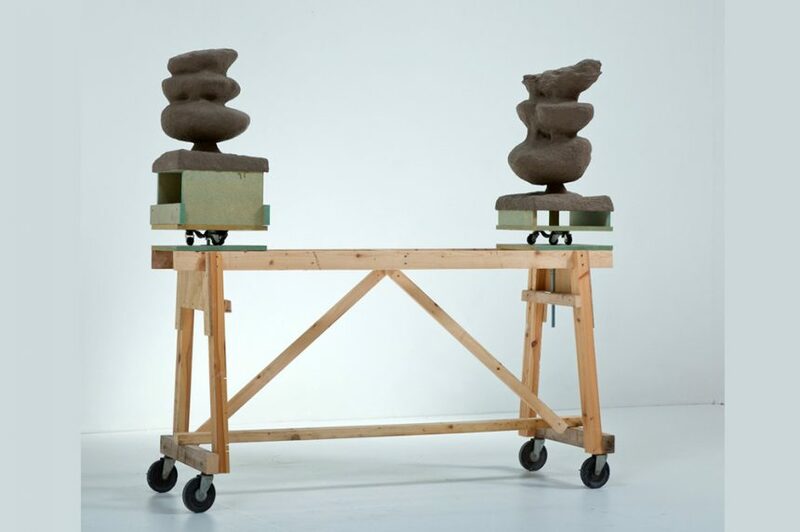 Meanwhile twin modelled forms, reminiscent of portrait busts are presented, mounted on sculpture modelling stands that have been tailor made for two artists to work in tandem. 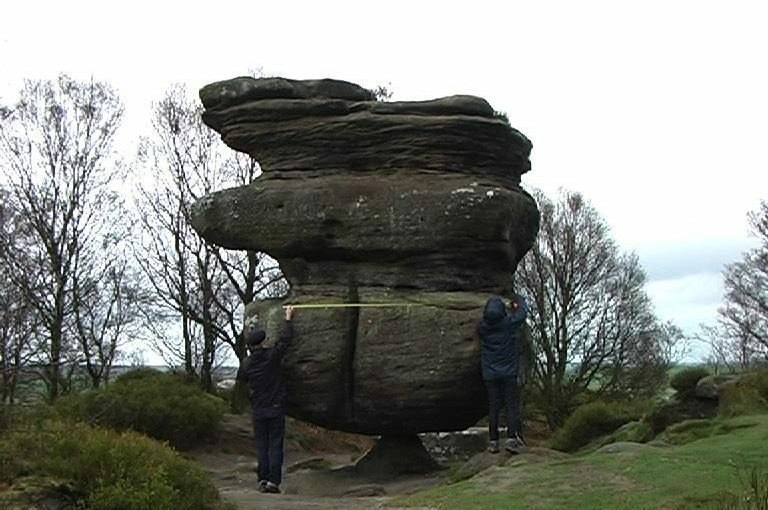 Finally there are the postcards themselves, a collection of images of the 6 rocks in question, often from similar angles, they are at once a popularity index (90 of the Bowder Stone, only 6 of the Big Stone) and a record of an enduring fascination with these improbable, awkward and ungainly forms.